Check out our Craft Trends board on Pinterest! Retro Christmas decorations are fun, colorful and so unique! I love the bright look of a mid-century Christmas or colorful drawings from early advertisements. You don’t have to scour flea markets for the perfect vintage decor, though. Here are some fun ideas to bring vintage charm to your holiday decor. 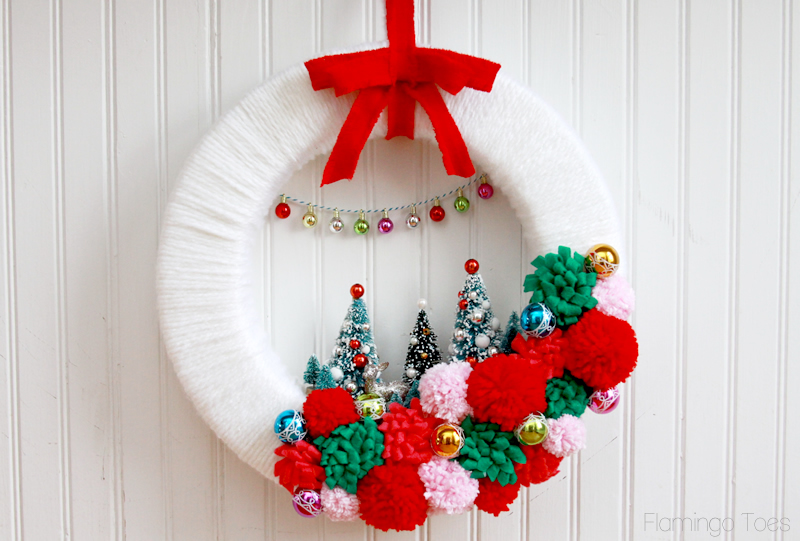 Vintage bottle brush trees, pom poms, and felt flowers that look like Christmas bows? What’s not to like? I love that this wreath really captures the vibe of vintage Christmas decor but still looks fresh and new. Diorama ornaments like these used to be some of my favorites growing up. 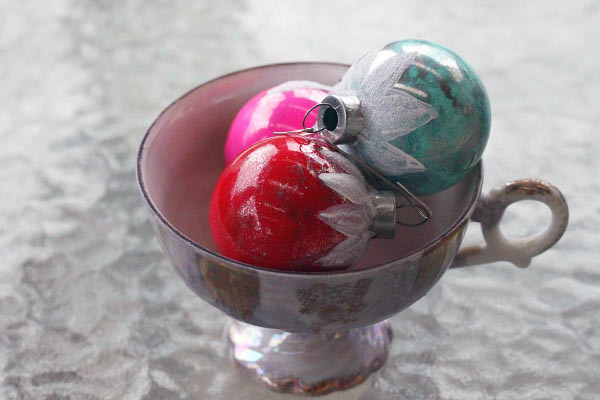 I love the bright, vintage inspired colors in these ornaments, and they are so easy to make! 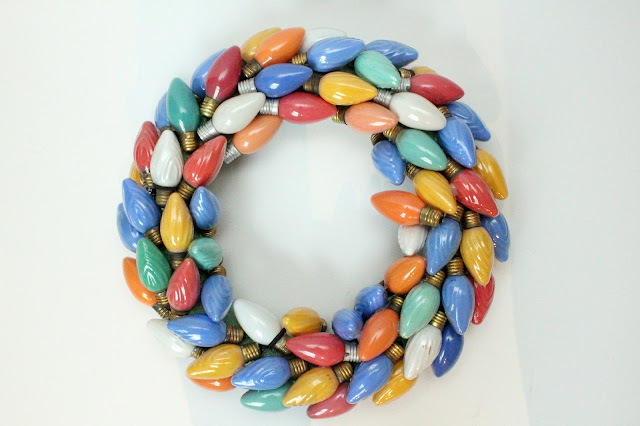 I think we all remember and love these old style Christmas bulbs. While everyone is moving in a more energy efficient direction, I think we still need to find a place for these colorful bulbs and this wreath is perfect. Bottle brush trees are one of my favorite ways to decorate for Christmas, but they’re hard to find in just the right color or size at a price that’s affordable. Now, you can easily make your own retro tree in any color you like! Do you love vintage Christmas decorations, but don’t have time to find the perfect thing second hand? Check out even more vintage inspired hand made decorations at our Craft Trends Pin Board! This entry was posted in Christmas, Craft Trends, Crafts, Holidays & Seasons on December 10, 2016 by Joselyn. I'm Joselyn, the Marketing Manager for CreateForLess. Though knitting is my true crafty love, I've been experimenting with all kinds of products and techniques for as long as I can remember. I also love my dog Kirby, baking, going to the beach, and creating all kinds of ice cream flavors. I'm a Portland native who loves the rainy Northwest weather that gives me an excuse to stay inside with my coffee, a bunch of movies, and my knitting.